The Armstrong State University Department of Art, Music & Theatre (Armstrong AMT) announces new-member auditions, open to students enrolled in primary grades through high school and including Armstrong students (available for course credit). Auditions, by appointment, are on Thursday, January 8 in Armstrong State University Fine Arts Hall. 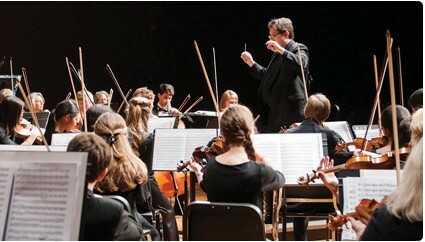 There are select openings in the following ensembles for students ranging in experience and ability from beginners to advanced musicians: Debut Strings, Lyric Strings Ensembles, Lyric Youth Orchestra, Atlantic Chamber Orchestra, and Armstrong Atlantic Youth Orchestra. AAYO was founded in 2004, serving Savannah, Georgia and surrounding counties. The program is an educational outreach program that serves students from primary grades through college level, utilizing an artistically graduated system that matches students of various musical abilities with other students of similar levels of accomplishment.